Just in time for Halloween a new SpongeBob SquarePants DVD is being released. 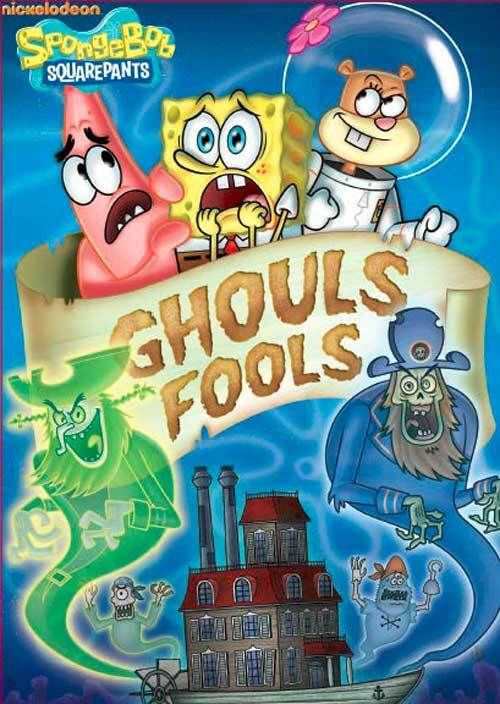 The Ghouls Fools is a double-length episode full of funny ghosts, and of course everyone’s favorite SpongeBob Squarepants characters. But don’t worry the DVD is still suitable for young children as the ghosts are more hilarious than scary. Children and even adults can learn how tie different knots, travel the Seven Seas with the Dutchman and go on a treasure hunt. Additionally, the sing along tunes are great, your child will be singing them for days. If your child, or even you, likes Spongebob Squarepants this is a must see new release-available today on DVD.